If you didn't already know that Laos was once a colony of France, the Patouxai would give you a good clue. The Patouxai anchors one end of Lane Xang Avenue, about a kilometer from the presidential palace. 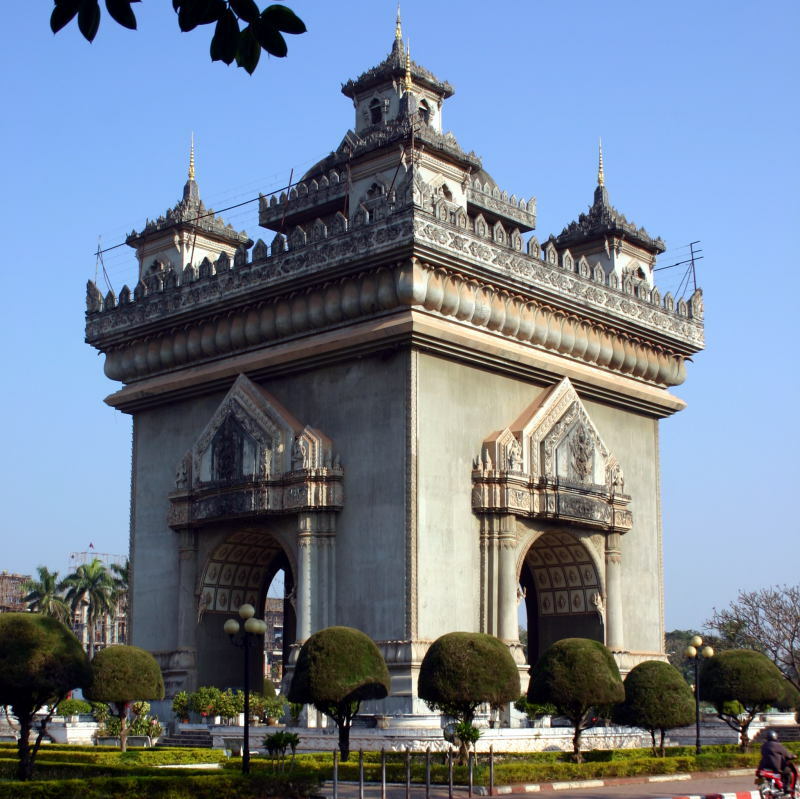 Locally, the arch is commonly known as anusawali, the Lao word for "monument." The arch was started in 1962, and in fact remains unfinished. This becomes most obvious once you pay the entrance fee and start the climb to the top. The five story ascent is worth it for the views of the city. If you need to catch your breath after the first three stories, there's a number of souvenir stalls on the fourth and fifth floors to distract you on your way up or down. The stairway to the roof of the Patouxai is open 8:00 am to 5:00 pm. The entrance fee is 3,000 Kip (0.36 USD). Note that once you reach the top, signs indicate that photography is not allowed!